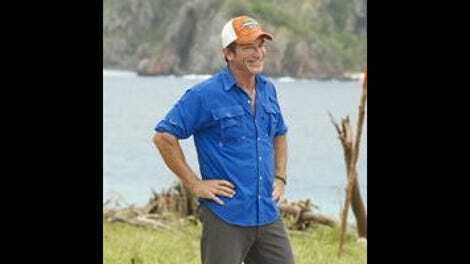 JT’s entire play in the Sierra reveal was that he was sure they would vote out Sandra. Not a great play with no assurances, buddy. At least Sandra seems to know without a doubt that he’s lying about not telling them what was up. But hey, JT immediately finds an idol so he’s safe anyway! The entire open was a real roller coaster of emotions for JT’s fans and detractors alike. The rewards this season are so lame. Coffee and Milano cookies? PB&J and warm milk? Did the show piss off the locals and they refused to send actual groceries? Sarah decides she wants to work with Troyzan, in an alliance absolutely no one was asking for. Sandra using sugar to stoke tension between JT and Michaela is devious and hilarious, except knowing how this game goes it seems far more likely to work against Michaela than against her actual target JT. In further “Debbie melts down” news, before the immunity challenge the team refuses to let Debbie do the balance beam against her protests, and when Tai keeps falling Debbie vocally complains about it. None of it is a good look on you, Debbie. Luckily for her, her tribe wins Immunity anyway due to Sierra and Brad’s great shooting at the end, but Debbie’s edit in this episode was Not Good. JT campaigns hard for Michaela to go home, but Sandra wants to vote JT out. The swing vote? Varner. It somehow feels like it’s always Varner. Tribal turns into JT vs. Michaela, and it seems the whole time like everyone but Sandra is ganging up on Michaela. It’s edited so in the bag for Michaela to go home that JT getting voted out instead almost seems inevitable. Satisfying, but inevitable. It’s especially satisfying to watch Michaela drink tea like a live-action meme as his torch is snuffed. So, to recap: Sandra knew that JT sold out their tribe and is the reason Malcolm went home. She deliberately instigated additional tension between JT and Michaela by eating JT’s precious sugar, letting him think it was Michaela who did it. Then she allowed JT to think that everyone was on board voting Michaela out, while secretly plotting with Michaela to take him out instead, sending JT home with an idol in his pocket. JT isn’t great at strategy, but still. Sandra is the greatest of all time. Bow down.